We love nothing more than little feet pattering through our family villas designed keeping in mind the needs of children and parents. If you’re travelling with children (infants, toddlers or pre-teens), we offer villas that are equipped with the right amenities to accommodate the needs of your family. Most villas offer add-on services and products to make the holiday comfortable and enjoyable for both parents and children. Abaca Villas surrounded by lush rice paddy fields is a tropical delight. Comprising 4 villas, this fantastic accommodation can be booked individually or collectively for 1-15 bedrooms. 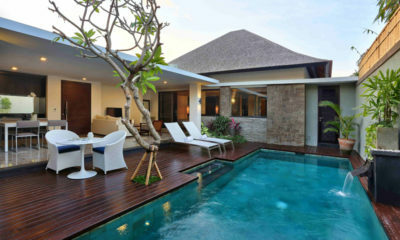 Allure Villas located in upscale Seminyak is a luxurious villa offering open spaces and brilliant views. Stay in Seminyak, close to some of the best beaches, restaurants and parties. Ambalama Villa located in Seseh is a beautiful villa boasting of two pools. 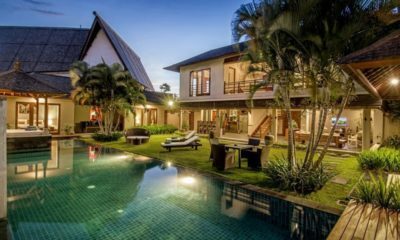 This villa looks out to lush rice paddy fields and makes for an excellent location for a wedding or event. 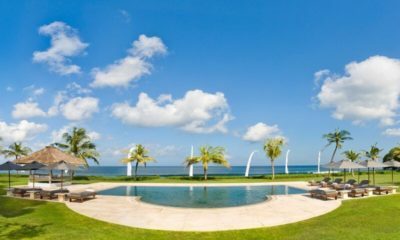 Arnalaya Beach House is a beautiful villa located in Canggu, which is absolutely wonderful for weddings and events. It boasts a 20m pool, private spa, tennis court and expansive lawns. Awan Biru Villa, overlooking the jungle is a tropical heaven. 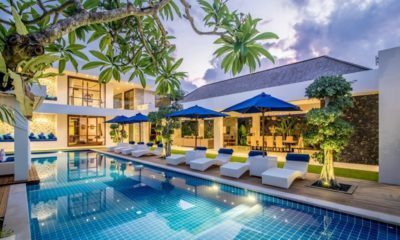 This villa features a mini golf course and trampoline for the young at heart and a gym and spa for people looking to de-stress. 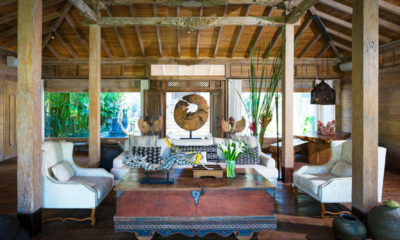 Bali Ethnic Villa is the perfect fusion of the contemporary with transitional Indonesian style. 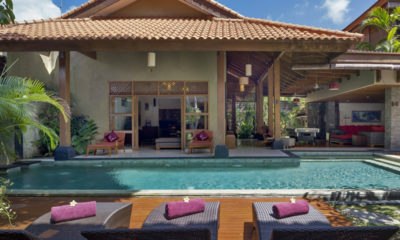 Comprising two private pool villas, guests can choose among 3, 4 and 5 bedrooms. Bendega Villas is located in a serene village, a short distance from a beautiful beach. 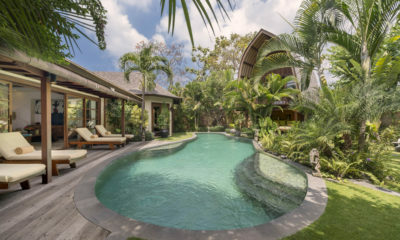 This spacious villa boasts modern Balinese architecture set in lush tropical gardens. Casa Lucas with its private pool, manicured gardens and Jacuzzi is great for families or large groups. Located in Seminyak, it is close to some amazing restaurants and clubs. 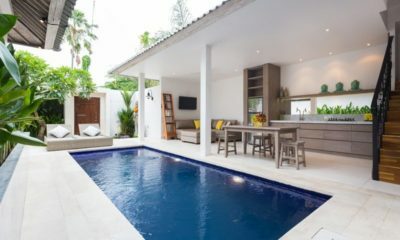 Casa Mateo is a beautifully designed villa with a media room, lush gardens and even a kid’s pool. Located in trendy Seminyak, it is close to Eat Street, some of the best bars and clubs. Freedom Villa is a beautifully designed villa, which is well-lit and airy. The luxurious bedroom suites are well-appointed. It is located close to the beach and famous Eat Street. 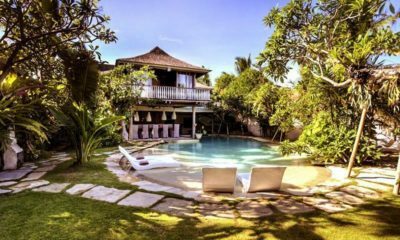 Hidden Villa Bali located in Canggu is a great place to holiday. Set in lush green rice paddy fields, this villa is perfect to relax in. It is also located close to places frequented by surfers. 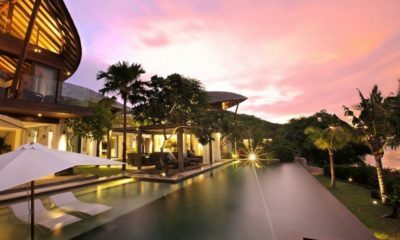 Kemala Villa is a serene villa designed with modern Balinese elements. The 20m pool and games room will keep you entertained. It is located close to some fantastic eateries in Canggu. Live in the lap of luxury at Lataliana Villas. Located in upscale Seminyak, it is walking distance to Seminyak Beach. This luxurious property can be booked for 5-8 bedrooms. Niconico Mansion is designed elegantly. Each room is different from the other displaying a thoughtful design. Located in Petitenget, this villa is close to some fantastic restaurants. 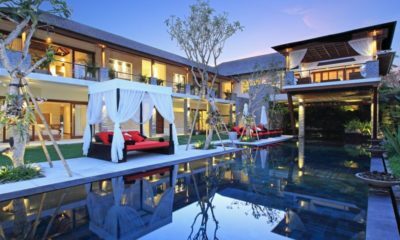 Opera Villa located in Nusa Lembongan is the new address of style. This magnificent beach-facing villa offers uninterrupted views of the sea. The tranquil location is excellent for a relaxed holiday. Peppers Seminyak consisting of a complex of private villas is the Balinese escape of which you’ve been dreaming. 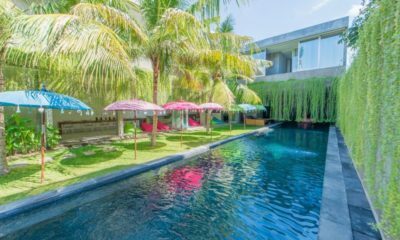 This heavenly Abode set in Seminyak is the perfect place for large families. Seseh Beach Villas is the perfect holiday pad with luxury and service that exceeds expectations. This beachfront villa comprises two villa with private pools. 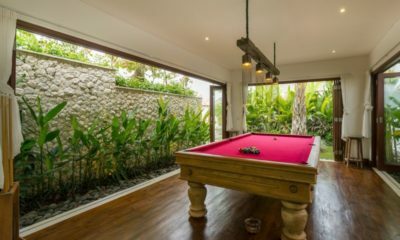 The Cotton House is the ultimate villa located in the stylish neighbourhood of Seminyak. Stay away from the crowds in this fancy estate with a private pool and several places perfect for lounging. 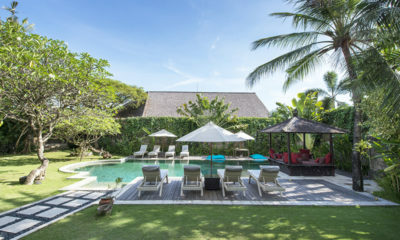 Villa Abakoi is a fabulous tropical escape with an idyllic location in Seminyak. Enjoy complete privacy in this exclusive villa in one of the most beautiful areas in Bali. 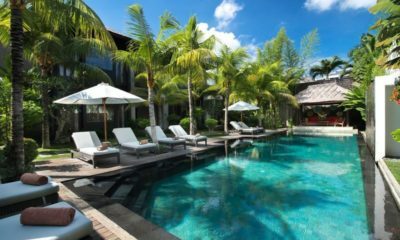 Villa Anyar’s gigantic pool, tropical gardens and 5 beautifully designed bedrooms are a winning combination for an epic Bali holiday. 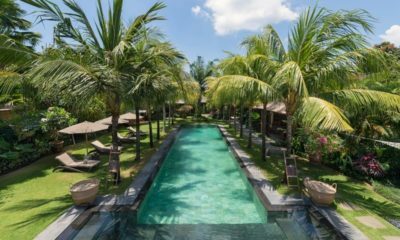 It is nestled in lush rice fields, a short distance from Seminyak. Villa Asta is equipped with several modes of entertainment that make leaving the villa tough. 14 guests can stay here and enjoy the dive pool, badminton court and more. Villa Atas Ombak is an exclusive beachfront villa that offers breathtaking sunset views. Enjoy sweeping views of the icean throughout the day. The living spaces are thoughtfully designed. 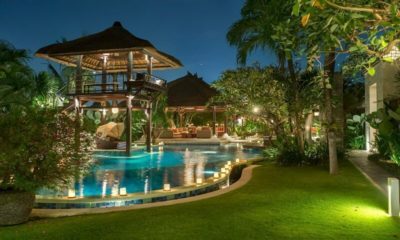 Villa Avalon Bali with three glittering pools is the ideal location for a family holiday. 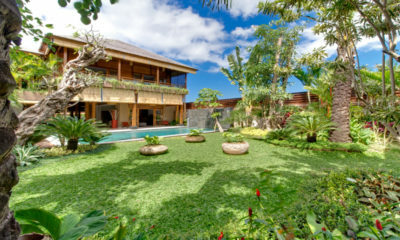 Villa Avalon Bali effortlessly combines the beauty of Balinese decor with lush tropics. 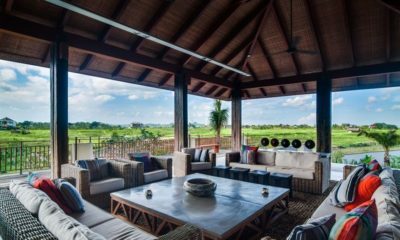 Villa Breeze is a cosy villa tucked among rice fields in Canggu. Relax in the curved swimming pool whilst enjoying the beauty of Bali. Surrounded by lush tropics, you will forget the world. Villa Cassa Mia features a huge swimming pool to splash in. The five bedrooms and kids’ room are designed stylishly. The living spaces are airy with multiple places to relax. Enjoy in bliss! 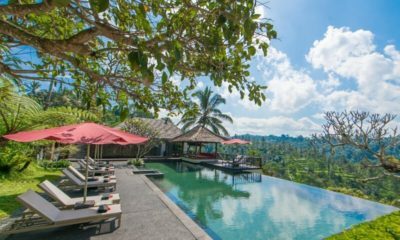 Escape to Villa Hansa located in a quiet village in Canggu The villa offers spectacular views of the sparkling river running through. Break away from the modern world in your private oasis. 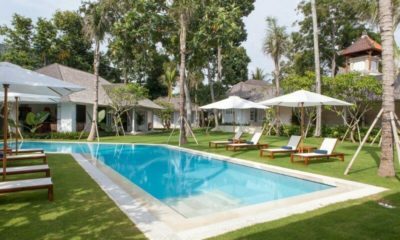 Villa Ipanema nestled among rice paddies located close to the beach is a dream holiday home. All 5 bedrooms are well-appointed with 3 bedrooms enjoying direct pool access. Villa Istimewa is the villa to live in to pamper yourself. The private pool, private jacuzzi, private sauna and massage room surrounded by greenery help let off steam and relax. 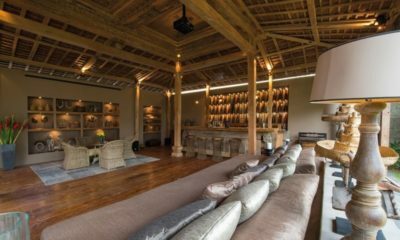 Villa Jempiring has been designed luxuriously with a rustic touch giving it a cosy homely feel. Dip into the pool or gather your family and head to the media room for some downtime. 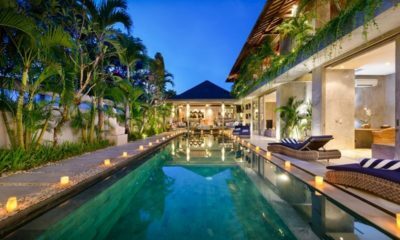 Villa Kinara is a huge villa located in upscale Seminyak. The airy living spaces ensure group activities like playing pool, swimming or enjoying a meal are enjoyable. Villa Kinaree Estate is an expansive villa offering complete privacy. The Balinese decor is uplifting and relaxing. Relax by the glittering private pool or in the lush gardens. 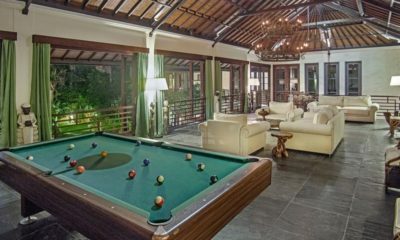 Villa M Bali Seminyak is the location for an enjoyable gettogether with friends. Not only is the villa a fabulous stay but it is located close to amazing restaurants. Villa Mamoune offers complete privacy from the outside world as well as within the villa premises. 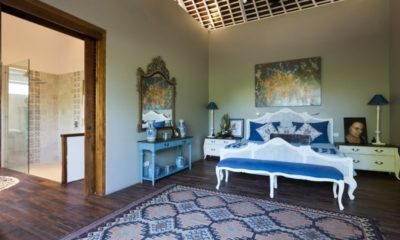 The secluded guestrooms ensure you feel like you’re living in a resort. 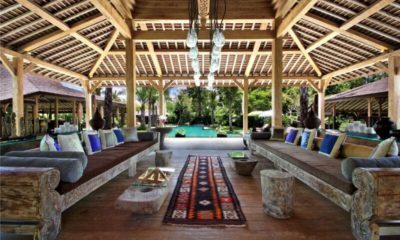 Villa Naty is a luxurious Balinese villa that is inviting with multiple spots to relax in tropical bliss. 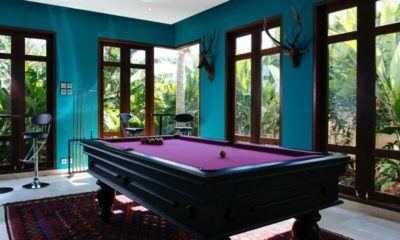 The villa is equipped with a gym, pool table and three fabulous pools. Villa Shambala is the ultimate villa to unwind. 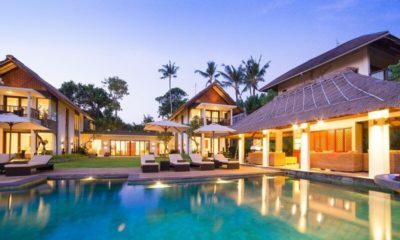 Beautiful Balinese touches to the villa, open plan-design and several spots for conversations and cocktails make this an epic holiday home. Villa Simpatico is an elegant contemporary villa featuring a huge 25-metre pool. It is located in the trendy neighbourhood of Seminyak. At the same time, ensures privacy and tranquillity. Villa Tangram is the ideal holiday accommodation. Gather your entourage and head to upscale Seminyak. This villa is located minutes from some of the best restaurants and clubs. Villa Theo’s huge pool surrounded by palm trees and sunbeds is a great place to make memories. 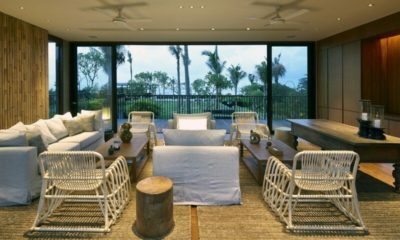 The Balinese design is inviting, luxurious and cosy. 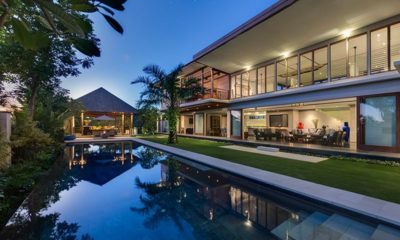 Villa Tjitrap is a stunning mansion offering privacy and tranquillity in Seminyak. 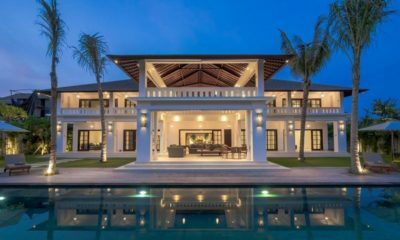 Javanese and Singaporean design has been fused in this villa to produce a jaw-dropping effect. 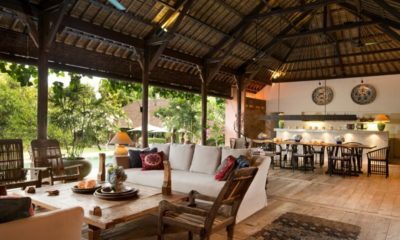 Villa Umah Daun combines the beauty of Balinese design with contemporary elements. The dazzling pool, heated Jacuzzi and wine cellar make this the perfect holiday pad. Villa Zambala located a short walk from Berawa Beach is the address of a great holiday villa. The kids’ bunk beds and a 25-metre pool is a hit with kids and parents alike. Never a dull day in Villa Zelie, a magnificent property located a short walk from the beach. The 20-metre pool and huge movie screen are great to create fond memories. We are an enthusiastic team looking to deliver an exciting experience for all our customers. Staying in a villa is a special experience, whether it’s the first time or you’ve stayed in a luxurious villa many times before. We are dedicated to providing brilliant service to ensure you have the best holiday. So, contact us and we’ll be happy to answer your questions, help you choose the right villa and guide you through the booking process. You can also reach us through +62 819 0107 0010. WordPress Cookies WordPress sets a couple of cookies that track logged in users and store user preferences set in their WordPress user profile. These are set for members of the 5 Bedroom Villas Bali website only - members of our staff. Facebook Set and used by Facebook, used for targeting advertisements and promoting content to users who have visited 5bedroomvillasbali.com.